We offer peace of mind through the most professional people, systems and technology in waste management. sustainable solution for a greener tomorrow. At The Waste Group, our primary aim will always be to offer a sustainable solution for a greener tomorrow. We are committed to providing holistic, environmentally friendly and economically viable waste management and recycling solutions to all our clients, irrespective of size. The Waste Group has branches in various regions in Gauteng, North West, Mpumalanga, Limpopo and KZN. The company’s projects and initiatives have been recognized by numerous organizations, resulting in a host of awards over the years. The Waste Group owns two private landfill sites in Gauteng offering safe, sustainable landfill services to a range of clients. Future developments by the company include the development of the country’s first so-called Waste City at the Mooiplaats landfill site in Gauteng where all facets and levels of waste management will be addressed. The development could serve the province’s waste disposal needs for the next 60 years. The company is proud of its exponential growth in South Africa over the past 31 years. Knowledgeable, experienced staff equipped to deliver a professional service has always been one of the important pillars The Waste Group has built its success upon. Driven by the vision of founder and CEO Dirk van Niekerk, the company’s staff componenet is expanding rapidly. The Waste Group is a dynamic waste management company with an unique approach to managing waste for a friendlier environment. We specialize in total waste management and recycling management services according to the so-called 5 R-principles, namely Rethink, Re-use, Reduce, Recycle and Remove and the Circular Economy. 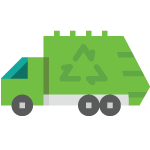 We continuously rethink waste management processes on behalf of new and existing clients in terms of the environment as well as competitive pricing. We engage with all clients to promote the reuse of materials for a practical and viable waste solution. 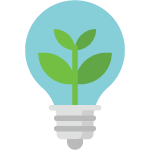 The Waste Group can assist with the reduction of waste materials by advising on and implementing a wide range of available technologies and processes. 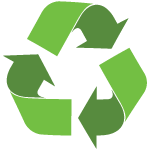 We can give advice on all recycling concepts, whether at the source or thereafter. 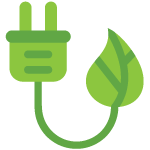 The company is an industry leader when it comes to processes and facilities to turn waste into a commodity for further processing or alternative energy sources. The old-fashioned method of removing and transporting waste to a landfill site is considered a last option. Historically, our business has concerned itself mainly with the collection and disposal of waste. 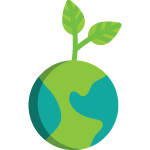 However, as time passed, legislation changed and technology improved, the pressure on the environment meant that businesses and individuals had to seriously reconsider their involvement and responsibilities in ensuring a future for our planet. Some see waste. We see a better future for communities and the environment. The Waste Group, through its various operational entities, is actively involved in numerous community development programmes which facilitate and help grow small community- based enterprises. We mentor small community cooperatives and enterprises to help create jobs and grow their business. small community enterprises with the skills and knowledge to create thousands of jobs and grow their businesses. We ensure that they receive accredited practical and theoretical training in waste and recycling management. an inclusive economy by mentoring entrepreneurs to deliver responsible, compliant waste and recycling management services. At the same time, we deliver a service to the greater community by ensuring a cleaner and healthier environment. small businesses to treat waste not as rubbish, but as a resource. We assist entrepreneurs with business management and give guidance on compliance with statutory requirements of waste treatment. This ensures their readiness to tender for work on their own.